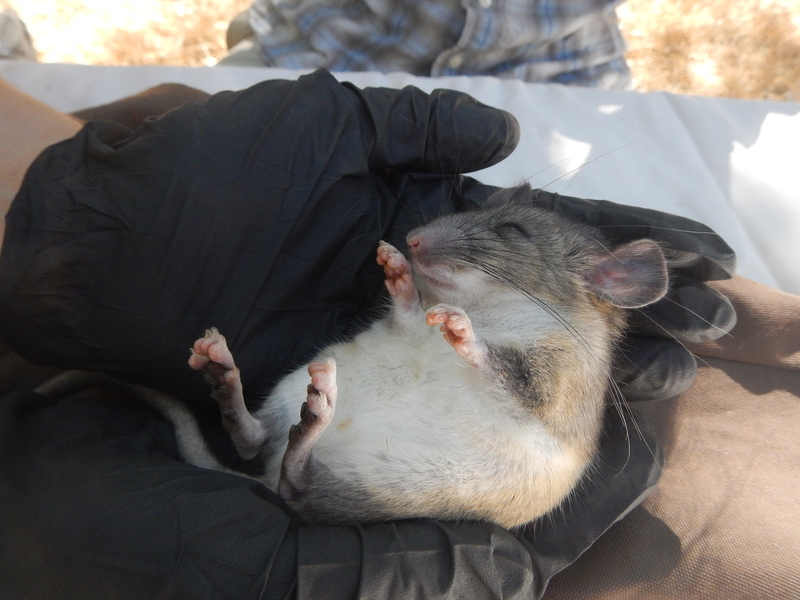 Woodrat anesthetized for radio-collaring at the Quail Ridge Reserve in June 2014. 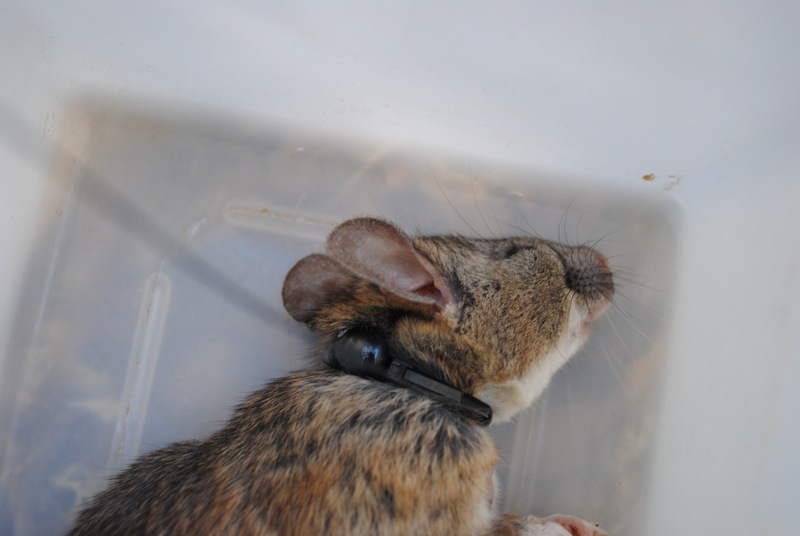 We have radio-collared 9 woodrats this summer to help test QRAAT, the new automated animal telemetry system under development at Quail Ridge, allowing real-time tracking of animal movements, interactions, and physiology. Collared woodrat recovering from anesthesia. 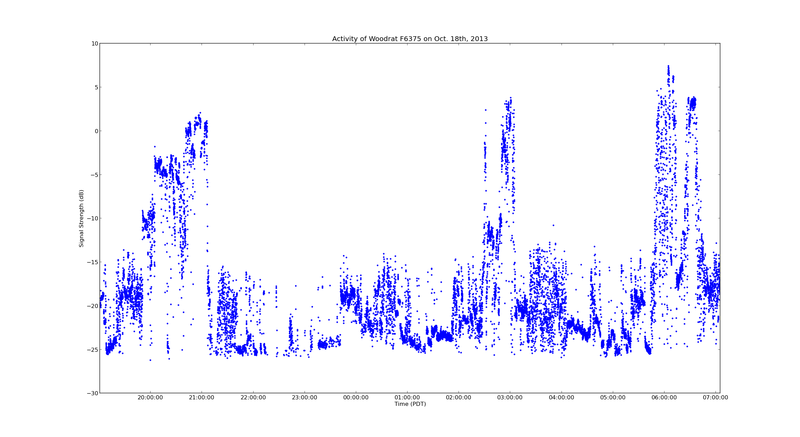 So far, we are able to use the system to look at activity patterns over a 12-hour period, something we have never been able to do previously. In time, we will also have the system’s estimated spatial locations of woodrats as they are moving about and foraging. The current system can track up to 30 animals simultaneously. 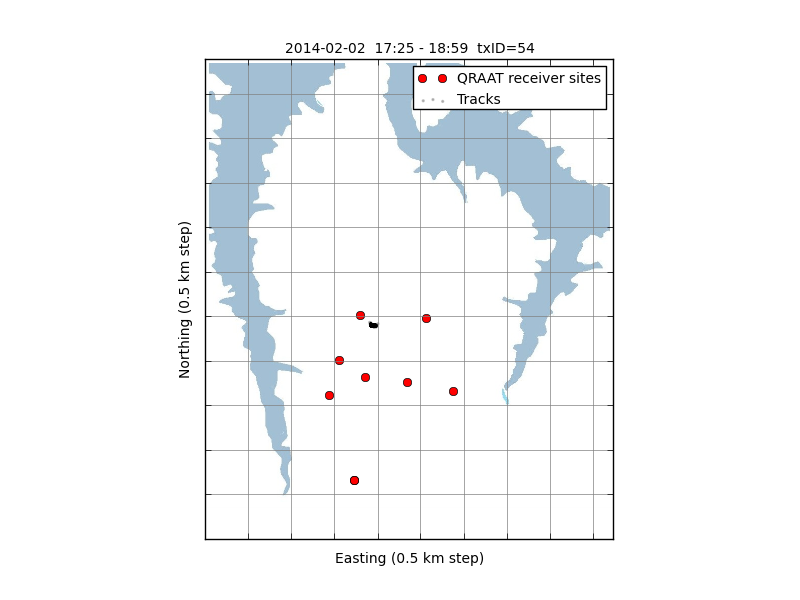 Here are the first plots we have of woodrat locations, thanks to the QRAAT team of developers. Output will eventually be available to view at finer scales, but for now we are happy to see the cluster of dots where we would expect. The red dots are the antenna towers and the cluster of blue dots is QRAAT’s estimated spatial locations of a woodrat over a 90 minute period.